A hair transplant is a relatively minor surgical procedure. It moves genetically strong hair to areas of hair loss. To increase the coverage and hair density over the top of the scalp. In men, hair loss and baldness are most commonly due to genetic factors and age. Male pattern baldness, in which the hairline gradually recedes to expose more and more of the forehead. The most common form of hair loss. For women, hair loss is more commonly due to hormonal changes. Resulting in thinning of hair as opposed to receding. Transplants can also be performed to replace hair loss due to burns. Injury, or diseases of the scalp. As long as enough hair around the back and sides of the head remains (the donor area). A hair transplant can be considered a viable option. Men may also experience a gradual thinning of hair at the crown. Timing is important when considering a surgical restoration option. A hair transplant is a permanent procedure. Once performed the hairs will continue to grow in the new area. Considerations such as age, present hair loss stage, potential hair loss stage. Just three factors to take into consideration when to pull the hair transplant trigger. The hairline placement should be determined by the potential for future hair loss. As well as ensuring it frames the individual´s face today naturally. This can often mean a compromise between the Doctor and the patient as to the most sensible design. On occasions, the donor hair can become weaker due to a variety of conditions, one being autoimmune. In this case, the hair growth can be miniaturised and not withstand the trauma of being moved from one area to another. This can result in poor regrowth from a hair transplant procedure. A hair transplant, like any cosmetic procedure, will leave scarring. All be it minor when performed to a high medical standard. With good healing. 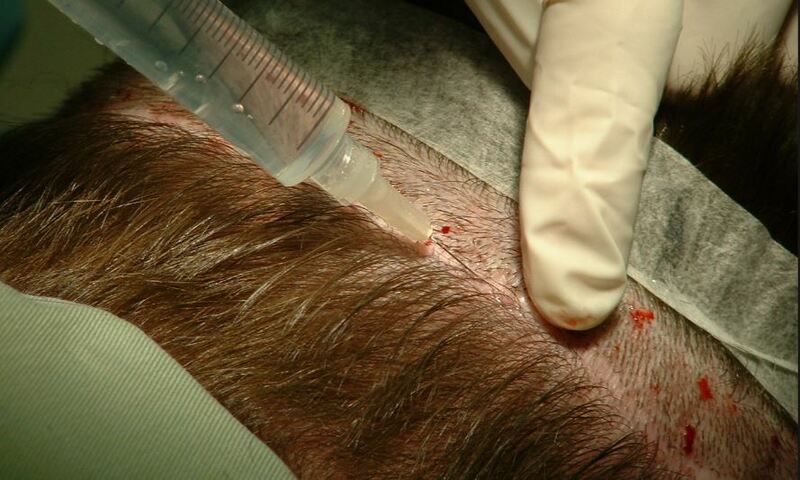 There are two hair restoration techniques, Follicular Unit Transplant (FUT/Strip) and Follicular Unit Extraction (FUE), They mainly differ in the manner the hair is removed from the donor area. FUE removes the hair grafts, follicular units. One at a time with a small cylindrical tool. This punches around the grafts. Leaves a small white dot scar between the adjacent hairs. If performed in a random pattern can be hard to detect. Unless the hair is very short/shaved and then becomes more obvious. FUT, leaves a linear scar. Around the back and sides. The length is determined by the number of grafts required. Closure techniques allow hair to regrow back through the scar line. Helping to camouflage better and allowing for shorter hairstyles. It is important to be realistic about what the final result of a hair transplant can be, for example, it is impossible to replace like for like hair lost therefore there is a degree of illusion to make a hair transplant work. Dependent on the individual´s hair characteristics, hair loss pattern, future hair loss and age some will never be able to achieve total hair coverage if the hair loss progresses to an advanced stage. Prior to your hair transplant procedure, it is important to inform the Clinic about any medications currently being used and about previous allergic reactions to drugs or anesthetic agents. Blood-clotting disorders also need to inform their physician before the procedure is performed. The type of anesthesia used will depend on how extensive the surgery will be and the setting in which it will be performed. A local anesthetic numbs the area and will be applied or injected into the skin at the surgery sites. Strenuous activities should be avoided in the first few days after the surgery. On rare occasions, the implants can be ejected from the scalp during vigorous exercise. There may be some swelling around the graft areas and around the eyes. These symptoms can usually be controlled with a mild pain reliever such as aspirin. Scabs may form at the graft sites and should not be scraped off.